One of Nick’s friends at work brought in some homemade baklava a while ago and once trying it on the train on my way home from work, I said to Nick “ask for the recipe!”, as I absolutely love baklava. This is a Greek recipe for baklava, which is has lovely flaky pastry, great flavours and is dripping in syrup and very sweet (if you prefer your baklava less sweet, reduce the amount in the syrup and/or walnut mix). If you want to add a little colour to the top, process some pistachios and place on top once cooked. 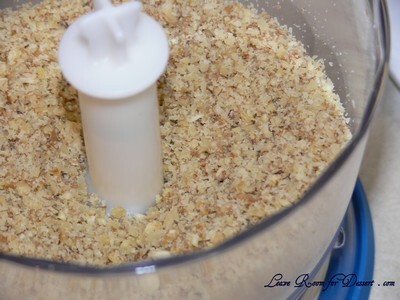 Grate walnuts (I processed them in a food processor) and place the walnuts, spices and sugar into a bowl and mix well. Oil a baking tray and put in 6 layers of Fillo pastry and brush canola oil on each individual sheet. Put a thin layer of walnut mixture onto the Fillo pastry and then cover with another layer of fillo pastry and brush with canola oil. 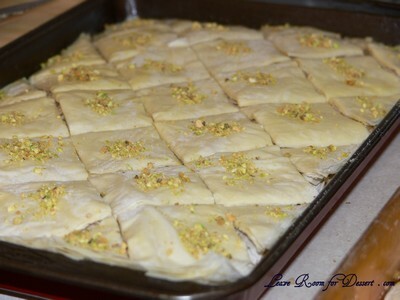 Repeat this until all Fillo sheets are used (around 10 sheets) and remember to keep 6 sheets aside for the top of Baklava. 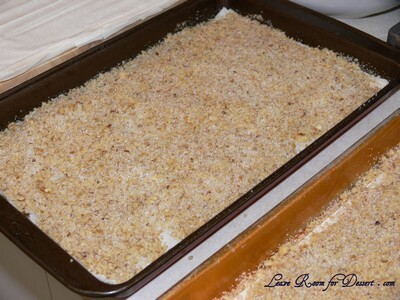 Once all mixture is used put 6 sheets on the top and brush each sheet of Fillo pastry with canola oil. Cut the Baklava into a diamond pattern, almost to the bottom before putting into a fan forced oven at 180 degrees for around 40 minutes. While the Baklava is cooking you have to make the syrup and then let the syrup cool down to room temperature. 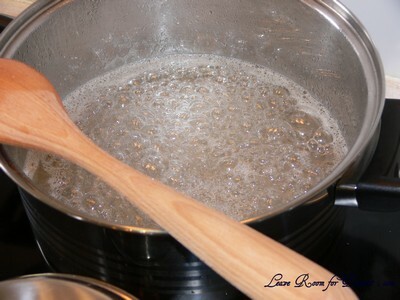 Put 4 cups of sugar and 4 cups of water into a saucepan and the juice from half a lemon and put into stove. Let the syrup boil until it thickens and then put aside to cool down. Once the Baklava has finished cooking take it out put it into a serving tray and pour the room temperature syrup onto the hot Baklava and set aside to cool for at least 6 hours. 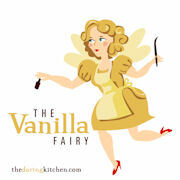 Filed under Cakes, Slices and Biscuits, Dessert, Recipes. You can follow any responses to this entry through the RSS 2.0 feed. You can leave a response, or trackback from your own site. Yum! This looks relatively easy and sounds delicious. Can’t wait to try it. Looks beautiful, Anita. I just love the cute shape of this sweet dessert. Absolutely delightful! 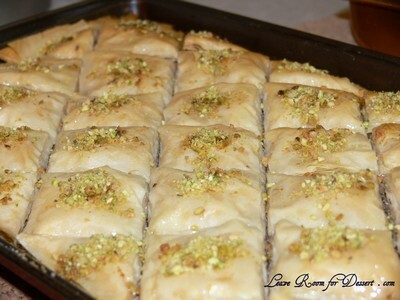 I am always looking for good baklava recipe. And this home-made version sounds so good. Thanks for sharing with us! Everytime I have baklava, I always feel like all my teeth are going to fall out from all that sickly sweetness! I am yet to encounter one that I can taste the nuttiness and filo pastry more than the sugar. oh yum baklava! 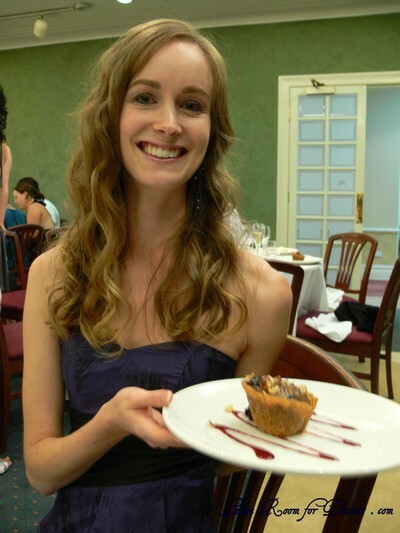 I love it so much, the flaky pastry, the nutty innards, oh I want I piece so bad, and you’ve made walnut….hmmm….walnut is only surpassed by pistachio….and you have that on top! I love baklava! Good on you for making your own. Grating walnuts does sound nutty, so I can see why you used a processor. 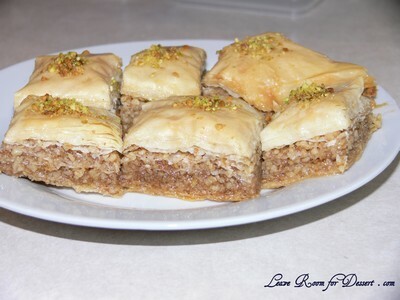 Yum, I love Baklava and this looks like a great recipe! Thanks for sharing, I will have to add this to my list of things to make! Nick brought in a few pieces of baklava to have at work and they were awesome. I showed my mum your post and she was very proud to see her baklava recipe. Please don’t EVER stop cooking, your food is wonderful. I love Baklava but I’ve never made it myself. Your recipe looks great I think I will go and try it. OMG! This looks so easy to make and delicious. I am going to try this one. Okay I just have a normal convection oven not a fan forced. little worried but I am going to try it anyway.